Pumping services for septic systems are a vital part of what we do. Though having your residential septic system pumped is typically only necessary every three years or so (under normal usage conditions), it is an easy thing to overlook. As this service is critically important to avoid expensive and potentially unpleasant to dangerous issues, a helpful reminder is something that we can send you when it comes to time for this service. A routine yearly inspection will measure your system’s level of waste scum and sludge to ensure that if action does need to be taken, it can be taken before any problems can arise. Pumping for commercial services should usually be done once a year, with inspection intervals often dictated by local laws regarding waste treatment systems. When your system needs to be pumped, the professionals at Cesspool Service Long Island can take care of this for you quickly and with a minimum of effort on your part. After contacting (or being contacted by) our friendly staff and scheduling a pumping service appointment, you can rest knowing that we will send you an appointment reminder through whatever communication channels you specify. Our staff will tell you exactly how much septic pumping services cost and will also help you with setting up (if not already done) a regular schedule of inspection and pumping services. Our high tech pumping truck will be dispatched to your location at a time specified by you, where our expert technician will introduce himself. Our expert will briefly go over the procedure with you to be sure you understand the time the service will take, and will answer any questions you might have. Our waste technicians are extremely knowledgeable about waste systems and the industry and can give you advice on anything you can do to ensure the continued value of your investment. After a brief meeting with you our technician will connect our pumping truck to your septic system and begin the pumping process. Unless there is a significant problem found (of which you will be immediately notified) that requires special attention a typical pumping process will typically take 30-45 minutes to complete. Once the pumping process is complete our technician will ensure that all seals are in good working order before ending the service. Before they leave our expert will speak with you again to let you know anything they need to share and to let you know they are finished. 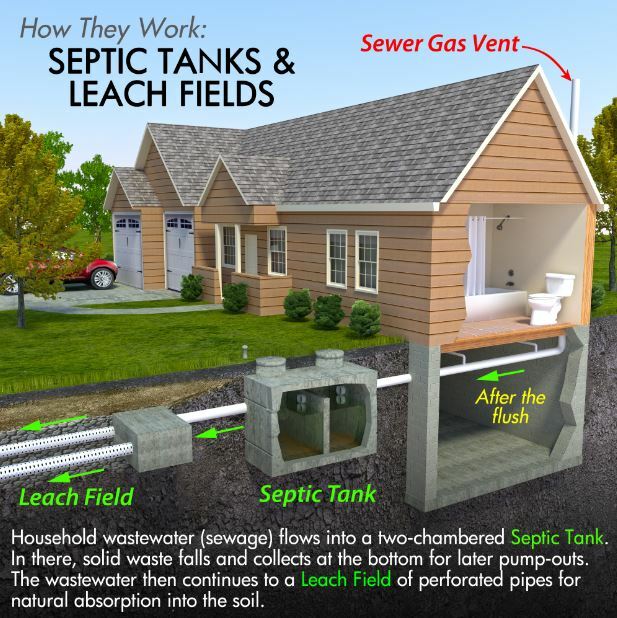 After your appointment you will be sent a report describing and logging the pumping services as completed, and a thank you from us for choosing Cesspool Service Long Island as your septic system solution. Emergency pumping services are sometimes a necessity, and an urgent one. Our staff remains on call 24/7 to ensure that if an emergency should arise due to malfunction or damage, we have got you covered. Our technician will arrive as quickly as possible to take care of your emergency need, offering the same level of professionalism and communication as will have come to expect from us.